Frame is made from chrome-plated metal. 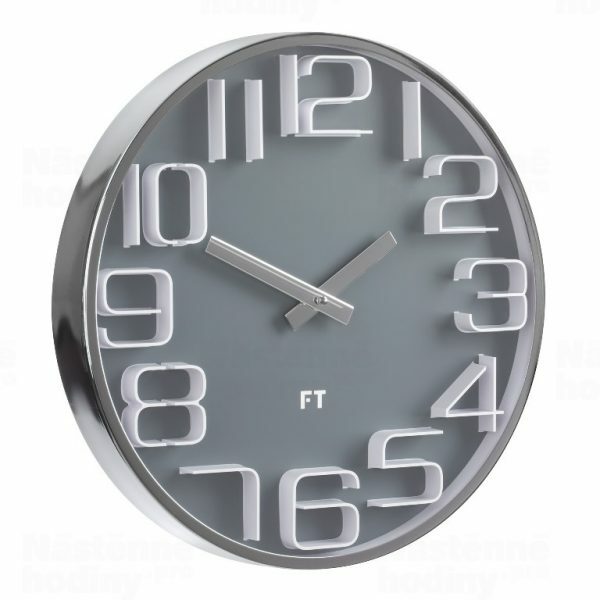 Grey dial with white numbers. Chrome-plated hands made from metal. Quartz mechanism for a battery with non-ticking silent movement.